Progress has been steady on my little loan servicing program. I debugged the code that imports data from MLP2 portfolios. It's now at the point where it typically imports without a hitch. Eventually I got it to fully import all the template information so now I have templates in the system to try to print. The system that matches the loan data up to the tags in the templates needs an overhaul, and the statement system as a whole will get a pretty big revision. I was surprised to see the first draft of the new statement printing dialog during testing. I wrote it probably more than a year ago and had forgotten that I had been working on it already! There's a bunch of new options for emailing statements. Initially, MLP3 will require loan servicers to use their own mail servers. Typically, if you have internet access, your internet access provider also provides a mail server for you to use along with a few email accounts. Once I can ease up on MLP3, I'll devise an elegant solution to provide the email functionality through TrailsWeb for people who don't have access to a mail server. There are a lot of factors to sending email reliably. I need to make sure whatever system I create works well for everyone while keeping clear of blacklists and greylists. In the six or seven years I've run my own mail server, I've had a handful of major service headaches. Most recently, a customer forwarded me a phishing email to ask if it was a scam - and when I replied, their ISP (who was all too happy to send that same phishing email to my mail server) banned me for sending a phishing email! You never know what weird things are going to get you blocked, and it changes all the time. I roughed in a new set of structures to handle the various ways that tags are converted during printing… tags that just substitute text, tags that format numbers and dates, tags that pop up question dialogs, tags that do more expensive calculations on the fly but only if the tag is actually present in the template, and a few others. 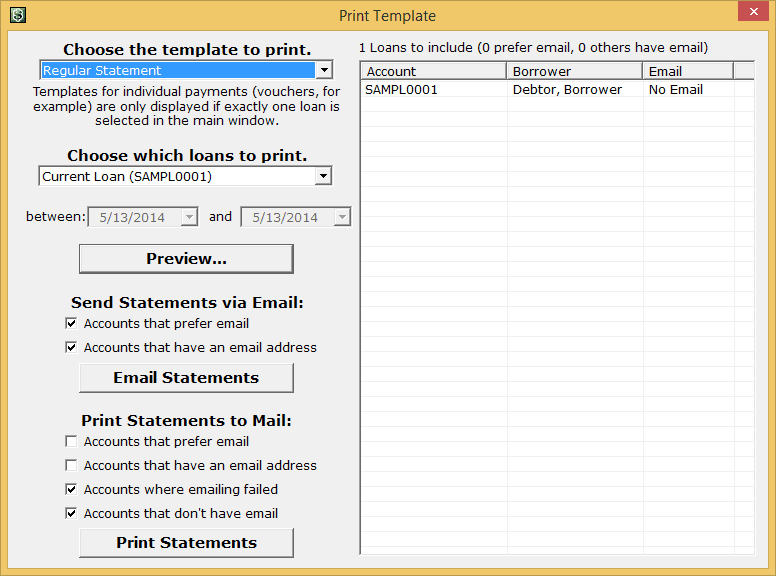 Also, Moneylender 3 has a new template type for printing checks, but it's not going to be much work to add them to the system. There will be a few places across the program where they'll get used. The move to NY is less than a week away. We've been packing and the mess in my office is in a different shape than I'm used to. ;) But today's work should go pretty smoothly.